Over the holidays, I was scrolling through all the Christmas greetings in my Facebook feed when I stumbled across my friend Anna’s status update. It was the kind that you start reading and by the time you’re done, you have to pick your jaw up off the table and give it a reread just to make sure you didn’t mistake your friend’s Facebook update for the plot of a movie. She had just delivered her own baby in her own car on Christmas Eve. Yep. A little more exciting than pictures of elves on shelves, no? I’m thrilled to have Anna here today on the blog giving the full story of the harrowing birth of her third baby. Pretty sure this is what it looks like when you’re rocking motherhood. My husband Christopher and I were expecting our third little blessing due December 20th, 2013. 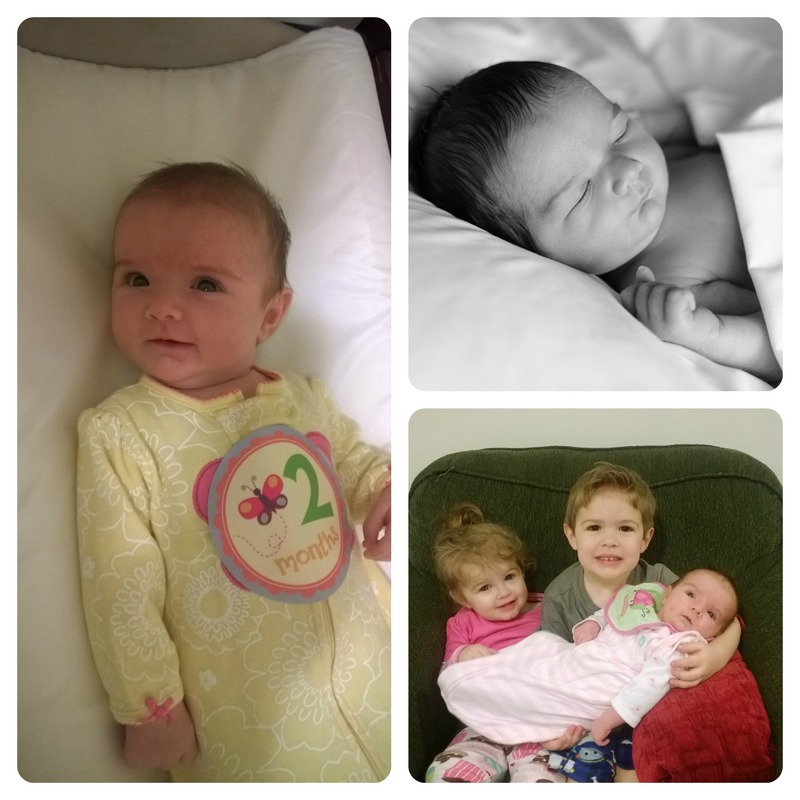 When December 23rd came and still no baby, I decided MY waiting was over – we were going to walk my hot, not-so-little self into labor because I was ready! I had experienced the writhing pains joys of false labor every night for a week, to the point of going to the hospital and being sent home one of those nights. This was new to me – my other births were rather textbook. None of this false labor stuff. So when it started for real, I didn’t have any way of knowing for sure. It felt like it had every other night for the past week. Mom and I had been walking for several hours already when Christopher met us and tagged Mom out of the game. Mom had a hunch that this was the real deal, so she took our other two children (Will and Sarah) to her house where they could play with the grandparents. I happily agreed. No need for them to hear mommy sounding like an ambushed Velociraptor during contractions and have life-long brain scars. Christopher and I decided Target would be a great place to walk around, so off we went, determined not to spend any money – just walk around. Three hours and a hundred and some odd dollars later, my breathing was taking more and more effort and I was ducking into aisles to hide these face-contorting uterine crushings from the general public. My contractions had been about 6-7 minutes apart the entire time at Target, and we were really just waiting for them to get closer to 4-5 before we went in to the hospital. No dice – Target was now closing. In our town, there’s next to nothing open after Target closes. Nothing but Walmart, that is. “To Walmart!” we said almost in unison, though at this point I was exhausted and not sure I could keep up the walking gig. In the car, the contractions spaced out to more like 8-10 minutes apart. I called the doctor desperately hoping she’d say, “Come on in, I’m here right now!” Nope. The awesome doctor she is (no, seriously, I love this doctor), knew I didn’t want to potentially pay another hospital bill just to be sent away. She said the contractions were still too far apart to be sure. “Here are your options,” she tells me at 10:30ish PM. I immediately begin to cry from exhaustion. (Hindsight Clue #1 to head to the hospital) Then a contraction hit and I had to pass the phone to Christopher to talk to her (Hindsight Clue #2 – probably should go to the hospital) She said to either keep walking and try to get them closer together (aww hayellll nawww), come in and know that I may be sent home again (not so interested in an unsure thing), or go home to rest and try to get the contractions farther apart (did I hear rest?!). We hung up and I was too emotional to make a decision. Christopher, knowing that he would be working the next day if this was another night of false labor, made the executive decision to go home. Sounds great to me. I’ll get in the bath and relax. After an entire car ride of contractions 8-10 minutes apart, I slipped in the bath to relax, and had about 10 minutes of relaxation until… well… until I didn’t have any more relaxing at all. The rest of the contractions came right on top of each other! After a massive contraction and the resulting noise that came from me, I heard Christopher bounding down the stairs running toward our bathroom. Why in the hell was he up there in the first place?, I’m thinking. Only the kids’ rooms are up there, and they were with my mom and dad! He proudly announces that he has “Elf” the movie for us to watch in the hospital room. That’s my husband. And I loved him for it for the 15 seconds of breathing I had before I screamed again and tucked my legs up to my chest. He reminded me of the temperature outside at this point (midnight), and helped me get yoga pants and a big maternity shirt on… plus a coat. At least I won with the flip flops. So off we sped down the highway at midnight, when I felt an urge to throw up. I had placed 2 towels in my car a couple of weeks before, worried that I might need them in case I went into labor at work. One of those towels came up to my face in case my stomach decided to simultaneously push up AND down. Then, the first major urge to push. I managed to stifle it somewhat. Christopher was driving quickly but carefully until that point. Jesus, be with me!, I prayed aloud as I had a hunch we weren’t going to make it to the hospital. Christopher reminded me ever so sweetly that Jesus was already with us, but that I had to keep breathing. He got the eye-cut of death and a quick, “I need you NOT to talk to me like that right now!” Yeah, this was baby-birthing Anna talking. Yikes, this was getting real, VERY fast. Between two particularly strong contractions, I nervously told him, “Honey, we have to hurry!” Horn blowing, lights flashing, and car weaving among the little traffic that was on the road, Christopher managed to hit about 80 on a road not meant to be driven upon at 80 mph. We took the ramp onto 840, and the second major urge to push came. This time, there was NOTHING I could do to stifle it. Down came the pants. Game time. *No, we weren’t, but nice try. A third push, and I said, “No, the baby is coming NOW!” and made him feel her head when he didn’t get exactly how literal I was being. He picked up the phone to call 911, started telling the lady I was crowning, and by the time she had asked the questions she needed to ask so she could dispatch an ambulance, I had reached down and delivered Sophia by myself at 12:15AM on Christmas Eve in the front seat of the car while we were going about 85 miles an hour on 840! I quickly pulled her up to my chest and snuggled her into the towel I was still gripping. The dispatcher asked if it was a boy or a girl, and we hadn’t even looked! My Mama Bear was out, and I wasn’t uncovering the baby until medical professionals were there. It was FREEZING outside! Christopher managed to get a copy of the 911 recording… Um, yeah… THAT’S worth way more than we had to pay for it! I was thankful to have experience in working with people who take a little more time and need a little more guidance than most when I met our Christmas Eve Crew of ambulance drivers. Keep in mind, we had not cut the cord or done anything else other than deliver Sophia. They had me getting out of the car, still attached to Sophie, still with pants NOT where they’re supposed to be, shuffling to get to a gurney that was rolling away because they forgot to lock the wheels – Christopher caught it and held it – then trying to get onto that gurney when it was up way too high… Good. Stuff! I still can’t believe it actually happened that way, and I’m SO thankful that everything went well! I believe in a loving, powerful, merciful, WONDERFUL God, and I know He was there with us watching every rotation of our wheels as our second daughter made her journey into our little world. Sophia is doing splendidly well and had no ill effects of being born “outside the sterile environment of a hospital” – according to one of the semi-neurotic nursery nurses who also gave me a good laugh. I’m like, third kid?! “Sterile” is out of my vocabulary at this point! Holy Bejesus. That is incredible. I was impressed with myself just giving regular old birth in a regular old hospital, but you win labor, lady!!! Hey, I say any birthing experience is worth its own headline! Mine just happened to be in a wacko situation, so I’m getting a lot of undeserved credit. Go you for your own baby story! That’s a beautiful baby! And an amazing introduction to her. I love a fun story with a happy ending. This is an awesome story! And I love that you have the 911 tape…what an amazing memento to have. Wow. What a amazing story! Glad everything turned out well for all involved. She already looks like an old soul. No wonder – she practically brought herSELF into this world! I can’t wait to hear what the delivery room bill is when they get it. ;) Congrats to your friends and thanks for sharing this fabulous story! 2. Yes, Nashville area! We were in Spring Hill on the way to Franklin. Awesome, Anna! I live in Fairview. :D You have lovely kids. Mine are mostly grown (the 15-yr. old boy’s attitude is not so lovely at the moment). Do you know Stacy and Ron Jagger? They live in Spring Hill. Ron is a professional sound tech for Christian artists. Anna, I can’t believe I summoned up enough Facebook knowledge to figure out–on my own, mind you–how to actually read your story. What a story!! I will never forget it. And neither will Sophia, once you’re able to tell her about it! Proud of you, Dad!! I’m surprised Grandmom didn’t have one of y’all in the car! That’s amazing and crazy and %$#@! badass! Love that the 911 call was obtained – great fodder for future embarrassment. I was glued to the screen for this entire story. Anna, you are a super heroine and I’m sure you’ll cross my mind when I am pregnant someday! What a great story, I cannot even fathom what that must be like delivering your child in a car. You hear stories like that from time to time on the news but, to actually have it happen? Wow! Glad to hear that you and Sophia are doing quite well. Enjoy your Friday and your weekend as well. Jaw on the floor is definitely right… That is IMPRESSIVE. Anna, I loved reading the complete story. I am very proud of you, but not the least bit surprised that you handled this so well. And Sophia is absolutely beautiful. Thank you!! Miss seeing you!! Awesomesauce! Nothing can beat this birth story in my books! Nothing! Gawd I was panting all the way to the end! Whew! Good job mama! and the dad too! Whoa dude! That is amazing!!! Brava!!! and she is a beautiful little angel. I simultaneously want to laugh and cry, best birth story ever! Thanks for sharing this! OMG. I think I’ll just camp out in front of the hospital a few weeks before my due date. Either that, or I’ll learn to apparate. So glad everything went ok! I almost died. I love you and I don’t know you. Back atcha for appreciating Southern speak! We gotta stick together, y’all! 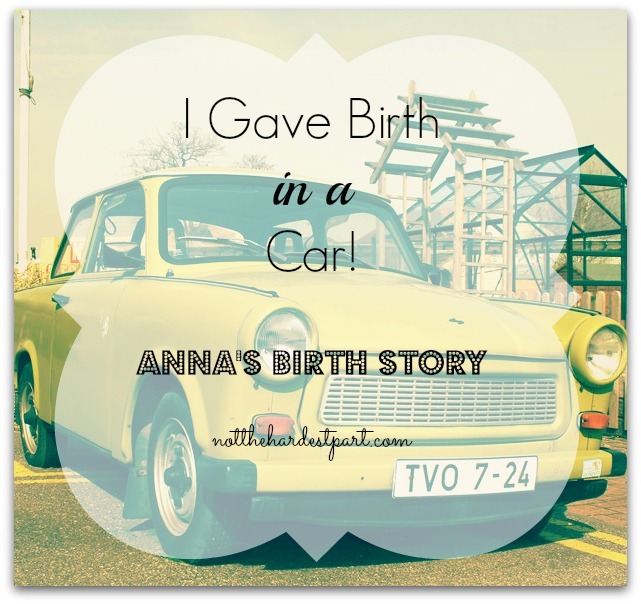 That is an awesome birth story! And I’m going to assume this is Anna from CBU? If so Rock On Anna what an awesome story to tell for years and years. Anna from CBU indeed! Thanks! Wow, what a story, to tell forever. They sound like a great couple too. Gorgeous photo of the three kids. I adored this post….she told it with the urgency and speed of what was the real event! Well done! Jesus be with me is so positive.. I don’t know if I’d be as graceful or prayerful! Cute pix! Emily, thanks SO much for giving me a reason to get it all down in words! There are so many things that happened in that whole course of events that I just don’t want to forget… And now I know I won’t! Thanks a million! Oh my goodness. Mother. Of. The. Year. You are an amazing woman with great grace. Your adorable baby girl is lucky to have you! My heart was racing the whole time I was reading this! What an amazing story! OMG!!! Delivered in a car driving at 85mph!!! Now THAT’s an entrance right if I ever heard one! Phew! Glad all went well for you. What a beautiful baby,family and story! That’s just amazing! I’m so glad it happened to someone that had given birth before so you both could be as calm as possible considering everything you were going through. Since it all worked out so well, what an amazing story she will have about her birth. Love, love, love. Thank you for sharing! That’s amazing! I love the idea that nothing can scare you now. You’ve already conquered every fear you could imagine and come out triumphant on the other side. Well done, mama. Thanks for sharing this amazing story!! You are my new personal hero. What an awesome story! So unbelievable!! What a previous little bunch you have there too! Glad you all survived it! !